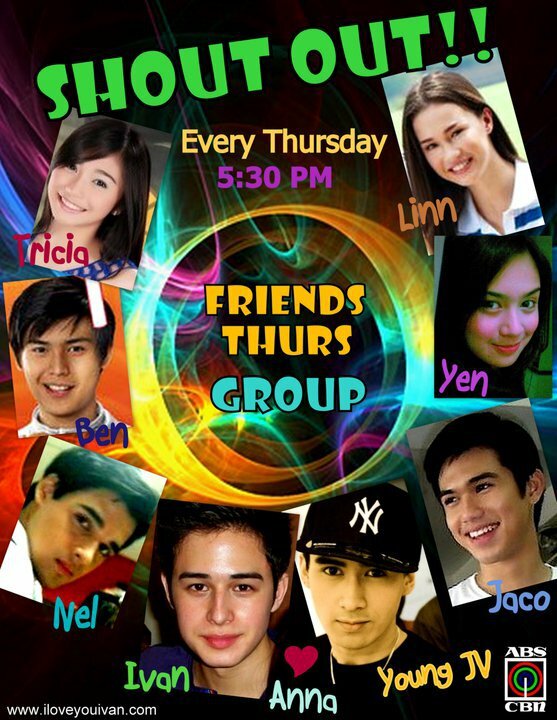 Shout Out “Ang Official Hangout ng Kabataang Pinoy” is the newest teen variety show on ABS-CBN. It will be hosted by Enchong Dee, Erich Gonzales, Empress Schuck, Sam Concepcion, Robi Domingo, Arron Villaflor and Enrique Gil and directed by Johnny “Mr. M” Manahan. ABS-CBN Shout Out will air its premiere episode on November 29, 2010 (Monday) and will occupy the 5:00 to 6:00 pm timeslot. Here are the ABS-CBN Shout Out Groups complete list of members. I am pretty sure you are already familiar with these faces. Anong araw ang patok sa 'yo? What Shout Out group do you like most?